Liver is essential for fat digestion and detoxification. However, when excessive amounts of fat get deposited in the liver and make up 5 to 10 percent of the weight of the organ, the condition is known as fatty liver disease. Several factors including alcohol abuse, diabetes, obesity and high cholesterol levels can increase the risk of fatty liver disease. Your doctor may prescribe medications, along with a healthy diet and exercise to reverse the condition. Certain supplements and natural foods such as grapefruits may also help manage fatty liver disease. A study published in the March 2011 issue of the “European Journal of Nutrition.” indicates that naringenin extracted from grapefruit can activate the chemicals responsible for fatty acid oxidation, which may be responsible for the lipid-lowering ability of grapefruit in laboratory animals. This may, in turn, help prevent fatty liver disease. Another study in the March 2006 issue of the “Journal of Medicinal Food” indicates that grapefruit juice can significantly lower body fat and attenuate metabolic syndrome, both of which often contribute to fatty liver disease. Nootkatone, another substance found in the grapefruit, also helps control obesity and enhances energy metabolism in laboratory animals, according to an article published in the August 2010 issue of the journal “Endocrinology and Metabolism.” However, the benefits of grapefruits have only been evidenced in animal laboratory studies; actual clinical trials are needed to prove them conclusively. Grapefruit is generally safe to use. However, MayoClinic.com notes that grapefruit may interfere with several medications including anti-anxiety, antidepressant, antiseizure and statin drugs, preventing their metabolism in the body. This can lead to excessive accumulation of the drugs and could cause serious complications. You must always talk to a doctor before using grapefruit supplements to prevent or treat fatty liver disease. The FDA does not monitor grapefruit supplements, so make sure that the product has been tested by an independent testing agency such as the USP. 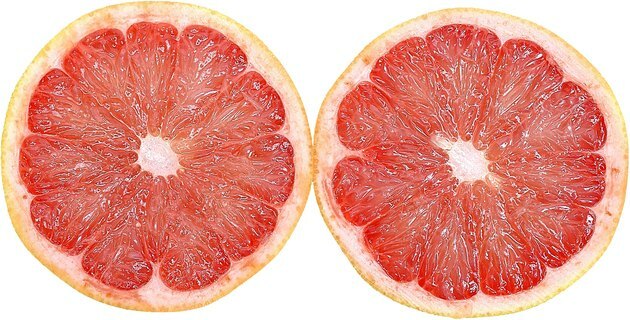 MayoClinic.com: I like to drink grapefruit juice but hear that it can interfere with some of my prescription medications. Is that true? Does Drinking Grapefruit Juice Lower Blood Pressure?